This first kitchen comes from the blog, It's Great to be Home. The granite is called Kodiak and they purchased it from Arizona Tile. 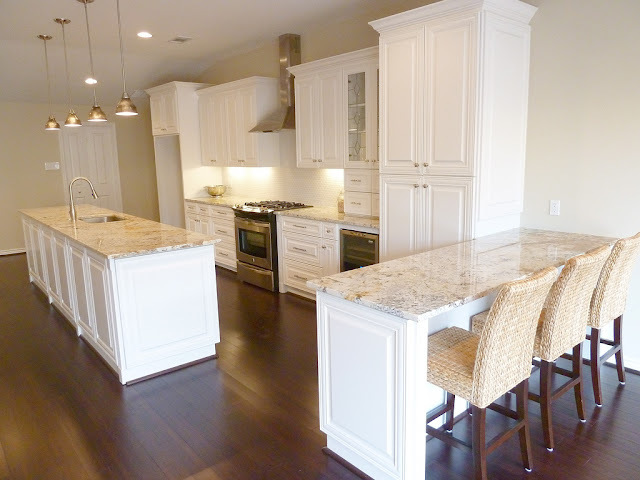 Go here to see more pictures of this beautiful kitchen and home. The open shelving and white subway tile are great in this kitchen. 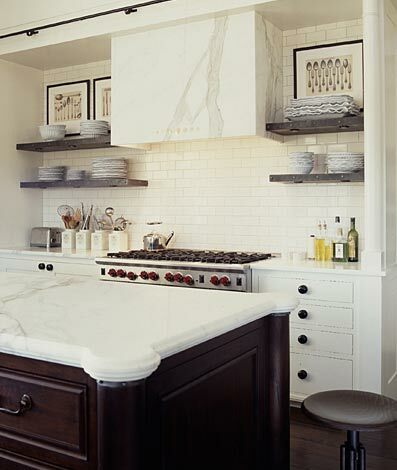 What really gets me though is that Calacatta marble hood! Isn't it beautiful? This next kitchen has CaesarStone's Organic White for the countertops. I like it when people mix up materials. 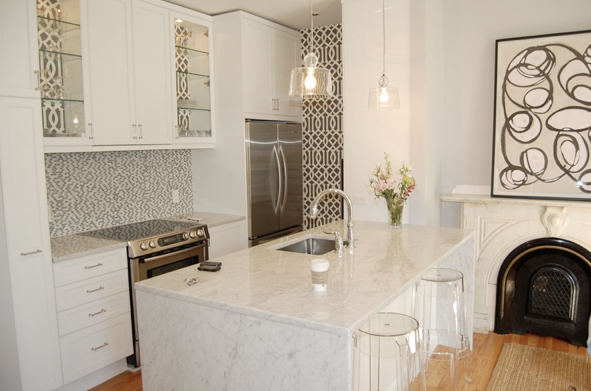 Here we have beautiful Carrara marble on the perimeter countertops and wood on the island and upper bar. One more Carrara marble kitchen for today. I love the wallpaper and the Waterfall edge. Wow, that marble hood is gorgeous! I'm glad Whiteout Wednesday is back, it's my favorite! Yay! So glad to see Whiteout Wednesday again. I was having withdrawls. lol.